Discovery Networks International is threatening to pull all of its channels from Sky following a carriage dispute between the two media giants. If left unresolved, it would mean that channels such as Discovery, Animal Planet and TLC would disappear from Sky next week, on the 31st January 2017. Additionally, carriage of Discovery Channel on NOW TV would also be affected. In a statement, Discovery has said Sky is using its "dominant market position" to avoid paying a "fair price" for its content. Discovery also says it is being paid less for its channels on Sky, despite Sky subscribers paying more, and more viewers across the UK tuning in to Discovery's channels. It is highly unusual for broadcasters to openly discuss ongoing carriage discussions, but comes at a time when Discovery feels it has more clout in the market, especially given that its sports network Eurosport is now the home of the Olympics. Discovery has only recently moved some of its lesser known channels - Discovery Shed and Home & Leisure - up to more prominent positions on the Sky EPG. Incidentally, the UK carriage dispute comes just under two months after Discovery pulled its deal with Sky over the exclusive carriage of the pay-TV HD version of Eurosport 1 Germany from Sky Deutschland (not to be confused with the free-to-air SD version), to become part of the HD+ satellite service and paving the way for the addition of the HD service on other digital TV platforms. In the UK, Discovery currently only operates one free-to-air channel: Quest, which is available on Freeview channel 37. A withdrawal from Sky would leave Discovery's pay TV channels available on Virgin Media, BT TV, Plusnet TV and via TVPlayer.com's premium service. UPDATE: Sky says Discovery's channels WILL be removed next week; brands Discovery's demands as not being sensible. Totally disgusted with sky TV for this, as it is why I have sky in the first place, to see the discovery channels. I very rarely watch other sky TV, and am sure that if sky do not resolve this dispute with discovery I for one will b cancelling my subscription to sky, as I feel that for what you get via sky TV, customer's are already over paying for subscription each month, to have nearly every program repeated constantly, with very few new programs. With that over priced subscription, you would think that surely they would b quite happy to pay discovery what they ask for, as they have no problems whatsoever giving the FA whatever silly amounts of money for the football each year, which gets added to the price of every sky subscriber whether you have the sports package or not, so if it is no problem for them to ramp up the price to keep the football every season, why such a big deal to give discovery what they ask for bringing brilliantly entertaining factual programs. Rupert Murdoch should be disgusted with himself as it's not like they can't afford to do this. As I am sure I will not be the only customer sky will loose over this. So again I really hope sky get this sorted or they can kiss goodbye to a lot of customers, who will be more than happy to take their business elsewhere, as I will!!!! Agree. We will be cancelling if they go. I have been looking for an excuse for sometime, due to the cost of the subscription.Now I really have one. I paid £12.50 for a NowTV box on special offer and am very glad I paid no more - It came with a 3-month 'entertainment' pass, which gave access to some load of old 5th-rate pony including Discovery... It's just crap, really, I'll hack the box when the subscription expires, but I'm truly glad I had this experience just to prove to myself what awful value NowTV is. 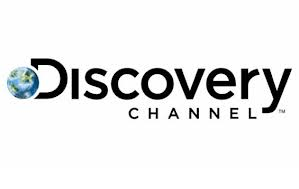 I really hope that Discovery Channels can continue on Sky TV and Now TV as they do such interesting and informative programming of value to the community. I have Now TV which is good value and needs more Discovery Channels, not less, such as Eurosport which I think is better than Sky Sports Channels quite often.